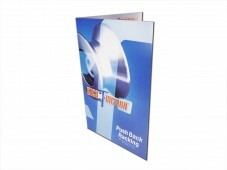 Montreal Prinitng offers corporate quality brochure printing at very reasonable rates. Brochure printing is a great way to inform your clients about your products or services, generate sales or simply get your name out there. 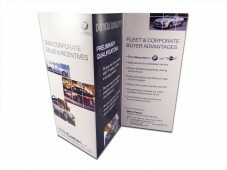 We offer short run & large run brochure printing for the following standard sizes: 8.5x11, 8.5x14 and 11 x 17. Our folding options include the standard: Half fold, Z-fold (accordion) and Roll fold(letter). If you need a size or folding type that is not listed, just let us know and we will send you a quick quote. No need for meetings to simply get some brochures printed. Order online and upload your files directly to Montreal Printing or choose the option for one of our designers to create something special just for you.